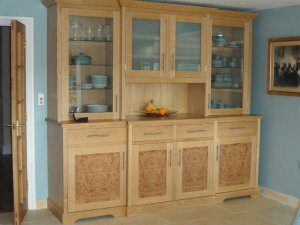 I have over 25 years experience in cabinet making. I set up my own company because I felt frustrated not being able to design and manufacture my own pieces, weeks after setting up my own business I took a commission from the renowned designer Claire Rendall to make a suite of contemporary furniture for Longleat House the home of Lord Bath. I have also been commissioned to design and build contemporary and traditional pieces of furniture for a mansion house in Bath. A spin off from this was a commission to design and manufacture two flame mahogany boardroom tables and 48 chairs for an investment company in Bath. 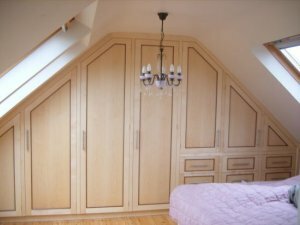 We are a small company that takes great pride in our innovative designs and build quality.